Stadium walkouts, strangers in the Shed End and a Didier Drogba red card. Stranger things may have happened during Chelsea’s 102 year existence, but possibly the biggest shocks are about to ensue in the coming months amidst chaos in SW6. Possibly this is slightly melodramatic since Chelsea have suffered much worse fortunes, particularly in the 80’s, trips to Bolton and winning through Clive Walker goals to save the club from relegation, certainly much more dramatic and near-heartbreaking. 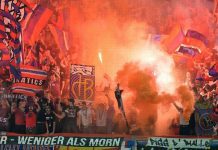 Whilst the Chelsea of Avram Grant appears decidedly nowhere near those times of Ken Bates and the Shed’s crowd allowed in for nearer ten quid, alarm bells appear to be pounding greater than chimes at the Vatican in Rome. 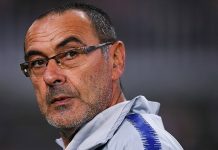 No wins in four matches, no goals in four matches and just two points in four matches in a league sequence reminiscent to those seen under Gianluca Vialli and Claudio Ranieri in the past, Chelsea’s inability to attack and even furthermore win matches is becoming increasingly perplexing. Indeed Didier Drogba, an integral part to Chelsea when fully fit and marauding past defenders even more agitated than suddenly being graced with the presence of a demon, is a huge loss and evidently this has shown. 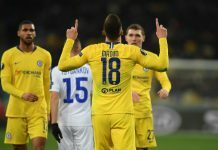 Frank Lampard and Drogba’s absences have been emphasised with a lack of cutting edge of late, with Chelsea returning to a reliance on the inexperienced and wayward shooting (and form) of Salomon Kalou and the new “Chris Sutton” of Chelsea (but far more overpaid and valued), Andriy Shevchenko up front. 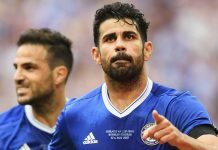 Chelsea may well have been unlucky in recent weeks, denied a penalty at Villa, a goal against Blackburn, hitting the woodwork twice hosting Rosenborg, a sending off for Mikel at Man United and an injury to John Terry at home to Fulham on Saturday, but this is no excuse it seems for such inadequate football. 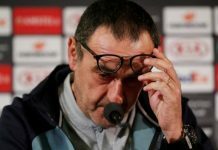 Despite the midweek victory over Hull City where Chelsea ran out 4-0 winners, Avram Grant was not enthused by Chelsea’s lack of clinical finishing. 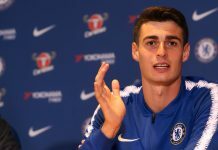 Grant even stated to the Chelsea website after the tepid 0-0 draw with our West London neighbours at the weekend, “For this we need to score goals and play better. I think the players want to play better; they give everything they can, but need to improve a few things”. Words here from a man that is possibly walking a tightrope already with little balance and support for his position in the long term plans at Chelsea Football Club, however the defiance he has shown so far is pleasing. 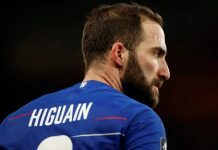 Realistically however, he and Chelsea are needing improving and perhaps relinquishing the duties of Ben Haim, Kalou and Shevchenko to other colleagues would be far better on the evidence of how this trio are currently playing. 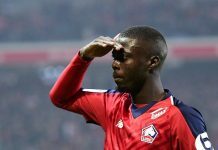 Ben Haim has so far appeared “stodgy” in physical form, similar to ex-Bolton striker Mario Jardel at times and has possessed the awareness and touch of a bull in a china shop, steaming into tackles and looking decidedly well, bullish. Kalou’s goals against Hull apart, his naivety and incessant will to hold on to the ball and take on every opponent that faces him and play a very limited team game, as well as his “Matthew Harding Upper” wayward shooting, has so far not endeared Chelsea fans. As for Shevchenko, well you only need to listen to the 42,000 fans at The Bridge for their opinion on him. With all of this in mind and context, trips to Valencia on Wednesday in the Champions League and Bolton in the League at the weekend look increasingly more difficult. John Terry’s cheekbone appearing flimsy, Drogba’s over exuberance rewarding him with a non-appearance for the Bolton game against a very physical team and the stricken injured, Frank Lampard and Ricardo Carvalho, certainly is meaning that victory in these two games appears seriously doubtful. Nevertheless in the next few weeks, victories for the Blues in League and Cup games are vital. 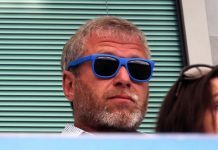 Despite Abramovich’s appearance in the Shed Upper on Saturday, which whether a PR stunt or not, was certainly brave, Chelsea fans will take further notice though on how the team performs in the coming weeks rather than outings by their owner amongst the Shed 100. Avram Grant’s tenure so far is reminiscent of former managers. Claudio Ranieri started as an unknown from Atletico Madrid, spoke very little English, appeared more cuddly than deadly and it took him a very long while to win over the Chelsea faithful. Now whilst Avram Grant may not be here that long for him to win over an ever growing frustrated fan base (observe the boos at home to Fulham on Saturday), he may well begin to develop a rapport with the fans if his attacking instincts in a 4-4-2 system begin to transpire into goals. 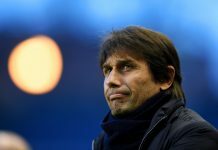 Wins are the telling point however and if Chelsea fail to beat Valencia, or more horrifyingly lose at the Mestalla and further fail to win away at the Reebok on Saturday, hopes of progress in Europe and the League may be further dashed. 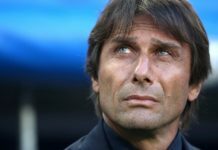 Although, despite storm clouds gathering to form a darker shadow than Alien ships seen on the film, Independence Day; it is possibly still too early to tell yet whether Chelsea have been truly damaged by their opening form to this season’s campaign. 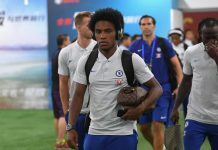 Scrutiny or praise maybe, may come once Chelsea have the services of Frank Lampard, Didier Drogba, Ricardo Carvalho and Shaun Wright Phillips, all back and fit for the fight. Avram Grant’s future, as does Chelsea’s does not appear particularly inspiring at the present time (the late Ian Porterfield’s regime springs to mind momentarily) with injuries to key players, threats of protests and stadium walkouts (which never materialised and probably never will) alongside a faltering long term future for Chelsea all the more reason for a Chelsea fan to go into hiding or even hibernation for the next year or so. However this may well be once again be slightly melodramatic. 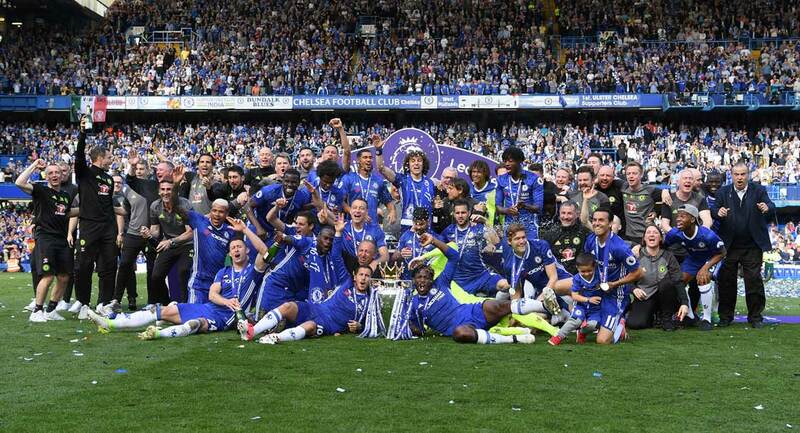 Let’s focus on the positives for those at SW6. All four trophies are still to play for, bags full of cash is available for a January raid (or exodus hopefully for the Ukrainian and German flops) and we have a manager and players capable of success. Well the former is maybe unproven, but with the help of the latter’s pedigree, anything at Chelsea could well be possible. Let’s just hope trips to Stoke in freezing cold rain, whilst wearing a Mac and eating a dodgy pie aren’t on the cards. A Leeds United situation for Chelsea is not wanted on our future agenda. Though at least we can say our owner doesn’t spend more time feeding his expensive fish than managing debts, eh Peter Ridsdale?